Love ‘em or hate ‘em, Chromebooks are here to stay and the continuous redesigns mean that they are appealing to a wider audience thanks to increased productivity and affordability. When you add durability in a rugged design, it’s easy to see why the Lenovo N22 will be a laptop of choice in classrooms and businesses alike. It combines high performance and durable design with impressive heavy-duty features including: a touchscreen, reinforced ports and hinges, anti-peel keys and a water-resistant keyboard with a sealed touchpad. Plus, you get a rotating camera (180-degrees), meaning you can easily record a practical experiment whilst typing on the keyboard by just flipping the camera hinge. Performance-wise, it boasts a 1.60GHz Intel N3060 Dual-Core processor, 4GB memory and 16GB flash memory which are quite standard for a budget chromebook, but the drop resistant design is something that makes the Lenovo N22 standout, especially for students and schools. However, it’s a bit heftier than most 11-inch chromebooks we’ve looked at (but not much), and it lack the features to unseat the features that come with our Editors’ Top Pick, the Asus Chromebook Flip (C100PA-DB02). 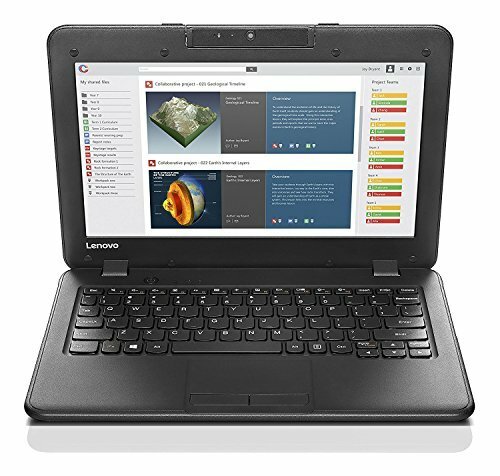 But, if you buying it for the classroom, then the Lenovo N22 should be at the top of your list, thanks to a rugged design, water-resistant design and versatile aesthetics that make it an all-rounder worth considering. Measuring 0.9 by 11.8 by 8.2 inches (HWD), the ThinkPad 13 Chromebook is slightly larger than the Asus Chromebook Flip (0.6 by 10.4 by 7.2 inches). Aside from its larger profile (and thick bezel), the N22 doesn’t veer far from the 11-inch chromebook looks. The body is rugged and is built to withstand bumps and accidental drops in the classroom. The ports and hinges are reinforced with water resistant keyboard channels alongside a sealed touchpad. All these add up to a sturdy laptop that can withstand the usual classroom falls and bumps. To that, add a non-slip texture and all you have on your hands is a road-warrior that you can tot around without worrying about scratches and dents. During testing, I was impressed by the fanless design that serves to eliminate debris from the bottom vents. We’ve previously seen the fanless design in select Asus ultraportables with Core M processors, its impressive to see the same trickle down to chromebooks. The 11.6 inch TN panel with Touch Panel Option comes with antiglare coating, and its 1,366 by 768 resolution is bright enough for use even in a dimly-lit classroom, but a Full HD (1,920-by-1,080) like the one seen on the Acer Chromebook 14n would’ve been ideal. In fact, a higher resolution is definitely a strong point and not a bad investment for some classroom projects. However, for basic productivity tasks, it isn’t necessary, and if price is a concern its absence is one area that adds up to reduced costs. It isn’t a convertible, but it does come with a rotating camera that can do a whole 180-degrees, this collaboration makes it easier to use in class, and if this is an appealing feature, then the camera comes handy as you don’t have to worry about limited recording angles. The chiclet-style keyboard is easy to type on and follows the standard chromebook layout, which replaces the top row of function keys with system controls, as well as the Caps Lock key with a Search key. The one-piece touchpad is also responsive and simple to use, and supports multitouch gestures. The speakers are decent and can get loud enough for a medium-size room. At full volume, you’ll hear some distortion with extremely high or low pitches, but since you’re unlikely to use a chromebook for more than casual viewing, this isn’t really a major problem. Connectivity options are adequate as well, with two USB 3.0 ports, an HDMI port, an audio jack, and an SD/MMC memory card slot to bolster the 16GB of built-in eMMC flash storage. For wireless connectivity, there’s dual-band 802.11ac Wi-Fi and Bluetooth 4.1 on board. There’s also a 720p webcam in the top bezel on a rotating hinge. The Lenovo N22 features a 1.6GHz Intel N3060 Dual-Core Celeron processor with Intel HD integrated graphics and 4GB of memory. Refreshingly fast to start – its cold boot time was 6.6 seconds in testing – the N22 kept pace with other Celeron -and ARM- powered chromebooks we’ve had a chance to test, but it predictably remains behind potent models like the Dell Chromebook 11 and the premium Google Chromebook Pixel. Pandora music and YouTube 720p video tabs played smoothly, even when streamed simultaneously with six other tabs. Because chromebooks are intended for light browsing and productivity tasks, this extra processing power, while nice, is not completely necessary. As with the screen resolution, this is an area where, depending on your needs, you could opt for this less-powerful components to reduce costs. Rounding out the features is 16GB of flash memory. That might seem low compared with what you get on traditional laptops, but because Chrome OS relies heavily on cloud storage and Web-based applications, most chromebooks come with either 16GB or 32GB. In our battery rundown test, the Lenovo N22’s 3-cell lithium ion battery lasted a respectable 9 hours, 46 minutes. That’s enough to get you through a full day of classes or work, and is a decent but not spectacular result among chromebooks. It shows more stamina than the Lenovo ThinkPad 11e Chromebook (7:35), but less than the Google Pixel (12:00) and the Asus Chromebook Flip (11:15). As far as chromebooks go, the Lenovo Chromebook N22 (80VH0001US) is a solid performer on every level, and the rugged design makes it more impressive. It isn’t one of those sleek chromebooks we usually see in stores all over; rather, a chromebook built like a tank and well suited to classroom duty and life on the road. 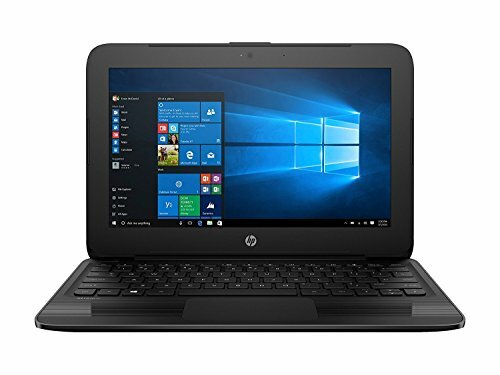 Its Intel Celeron processor handles multiple audio and video streams with aplomb, and its spill-resistant keyboard with anti-peel keys is good quality. That said, a touch-screen option does help and makes the N22 stand-out from the pack. If the rugged design is a deal-breaker, check out our Editors’ Pick, the Asus Chromebook Flip (C100PA-DB02). Not only does it offer touch-screen capability, but it has a convertible display that allows you to use it as a tablet. The Lenovo Chromebook N22 (80VH0001US) is a Celeron-powered, chrome-based laptop that is built to endure the duty and life on the road thanks to heavy duty features.